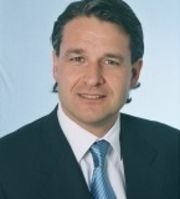 Mr. Armbrüster, born in 1964, graduated from the University of Evansville in the U.S. with a Bachelor of Science degree in international business in 1986. Immediately upon graduation, he accepted a position with one of the world's largest commodity houses based in Switzerland. After his initial training, he eventually rose to become a senior trader with postings in Australia, Hong Kong, Switzerland and the United States. He was made a senior partner and in his last position, he was head of the aluminium operations of both North and South America. He was also extensively involved in the acquisition of three aluminium manufacturing facilities as well as being their president. At the peak, these companies employed over 2500 employees. He also held numerous board positions. After a 19 years career, he resigned in 2004 and decided, together with a partner, to form JB Commodities in early 2005. In just three years, the firm has grown to four offices in four countries with the headquarter being in Switzerland, and focuses on physical commodity trading as well as financial futures with extensive contacts including venture capital and hedge funds.